43. סוֹבְבִים בַּעֲלֵי הָעֵינַיִם שֶׁלְּצַד יָמִין, וְעִמָּם שְׁמוֹנָה עָשָׂר אֶלֶף תּוֹקְעִים, וְלֹא מְיַבְּבִים וְלֹא מְיַלְּלִים (ס”א לֹא מְיַלְלִין וְלֹא מְיַבְּבִין) וּפוֹתְחִים בְּשִׁירָה. מִזְדַּעְזְעִים מָאתַיִם וַחֲמִשִּׁים אֶלֶף בַּעֲלֵי יְבָבָה. 44. תּוֹקֵעַ שֵׁנִית וְלֹא מְיַבְּבִים (וְלֹא מְיַבְּבִים וְלֹא מְיַלְּלִים). נוֹסֵעַ הַפַּטְרוֹן מֵאוֹתוֹ כִסֵּא וְיוֹשֵׁב בְּכִסֵּא הַוַּתְּרָנוּת. בְּאוֹתוֹ זְמַן הָיָה (הוּא) מַזְכִּיר שֵׁם קָדוֹשׁ עֶלְיוֹן וְגָדוֹל, שֶׁבְּאוֹתוֹ שֵׁם יֵשׁ חַיִּים לַכֹּל. 45. פָּתַח וְאָמַר פַּעַם אַחַת יוֹ”ד הֵ”א וָי”ו הֵ”א (יוֹ”ד הֵ”א וָא”ו הֵ”א), כְּמוֹ שֶׁנֶּאֱמַר (שמות לד) וַיִּקְרָא בְשֵׁם ה’. פּוֹתְחִים כְּבַתְּחִלָּה בַּעֲלֵי גַלְגַּלִּים קְדוֹשִׁים, וְאֶלֶף אֲלָפִים וְרִבּוֹא רְבָבוֹת, וְאוֹמְרִים שִׁירָה, מְשַׁבְּחִים וְאוֹמְרִים, בָּרוּךְ כְּבוֹד ה’ מִמְּקוֹם בֵּית שְׁכִינָתוֹ. The study of this week started with last year’s study of Shemot. For you convenience I bring it here to make it easier to understand the coming studies of this week. In a very poetic and concealed way, Rabbi Shimon explains the process of the Light ‘traveling’ with singing from the upper three to the lower six, Zeir Anpin and Malchut. The light of the Chokmah sent out from Binah to Zeir Anpin and the first step is called ‘Sowing’ or ‘Seeding’ because it starts a process of expansion. 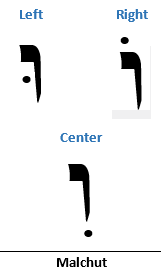 The first stage is called the point/dot of ‘חולם’, ‘cholam’. Cholam is a Nikud, ‘vowel’ that gives sound to the letter, meaning it vibrates it with Light. This is the first sound of Zeir Anpin. The Cholam represented by a dot above the letter. The next step is Shuruk and the dot from above is now moved to the left and the middle of the letter. The upper light is now inside the vessel. This makes another kind of sound on Zeir Anpin and the ‘vessel’/ letter receives the ‘seed’. The third step joins the right and the left and it is called Chirik. The Light fills Zeir Anpin and the sounds is released, meaning expressed in this world. Rabbi Shimon describes this process as opening the eyes. Chokmah receives the Light from Keter and it concealed until Binah delivers it to Zeir Anpin and reveals it. This revelation from the concealed to the revealed is called by Rabbi Shimon, opening of the eyes. The eyes is the highest and most sensitive sense in the body, physically and spiritually. It connects us to Chokmah, which literally means wisdom. I included the study of previous paragraphs related to this special study. Rabbi Shimon reveals that when we open our eyes we see Holy Chariot in movement and a singing voice sweet to the ears. This is the light of Binah that is good for the heart that connects to Malchut. It goes up and down, walk and doesn’t move. As the heart is in one place but moves the blood in the body to give it life, so the Light of Chokmah that is described as forces of 1,000 wheels on the Left column. When the light of Chassadim from the Right column joins the left then it multiply and becomes a million. There are 100 million chassadim that comes from the higher level of Keter, Atik that its sefirot are counted in 10,000. All of these levels open with the singing of Chokmah on the way down to Binah, which represents the Holy Chariot and the movement of the wheels that are the three lines, Chessed on the Right, Gevurah on the Left and Tiferet in the middle. Malchut is the fourth wheel that receives and include the movement of the Light from above. The light of Chokma is revealed through the eyes and therefore when it is revealed it is called eyes. The song of the Light of Binah gathers 450 thousands ‘eyes’ on the right and the same count of eyes on the Left. There are wailing on the side of judgment and when the throne of judgment open the books, all stop their wailing and singing until the judgment is done. The light of Chokmah is drawn down to Malchut by the request of the vessel. It can be revealed positively through Chassadim, which is the aspect of singing or through judgment when the light drawn for a negative purpose. The ‘eyes’ on the Right with 18 thousands sounds of ‘Tekiah’, simple straight sound that continues the Chassadim from the Right to Yessod of Zeir Anpin. This revelation create new song. On the Left the 250 thousands ‘wailing’ are in shock for the judgment they experienced before the Chassadim revealed on the Right. The Tekiah sound is repeated and Zeir Anpin that is the channel for this light reveals the Holy name יוד-הא-ואו-הא that continues the life force to all levels. ‘His Place’ is the Shechina in Malchut. Our world is the world of ‘wheels’ because everything is in constant movement. Even what looks like solid is just high density of atoms with constant movement. When our eyes are closed we can ‘see’ everything at the same time. That’s like a resting state of the light of Chokmah. When we open our eyes we see the sound and movement that is happening in the world of Malchut. 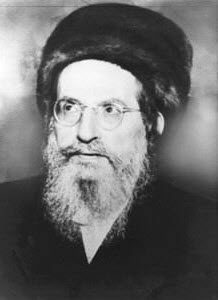 A Kabbalist of the highest level of purity and connection to Chokmah can have mind over matter. With the power of their eyes they can transform any matter to another matter because all the atoms in existence can be under their ‘command’. Close your eye to disconnect from the ‘noise’ of this world and think about it. B”h we see Mashiach in our time expressing his power of mind over matter, bringing peace to the world.